mechanical keyboards are the next step up from standard keyboards, and are popular among all types of users, especially gamers. Individual mechanical switches beneath each key offer a number of benefits, namely an improved tactile response that can speed up typing—and of course offers that satisfying click. In fact, the most gamers wouldn’t consider anything less than a fully mechanical keyboard. The reason? Accuracy. The satisfying click and non-mistakable tactile response give you real-time feedback that just can’t be found on most membrane or scissor-style keyboards. Actually,in past decades, mechanical keyboards were king. If you’ve ever typed on an old keyboard from the ’80s or earlier, it likely had mechanical switches underneath the keys. 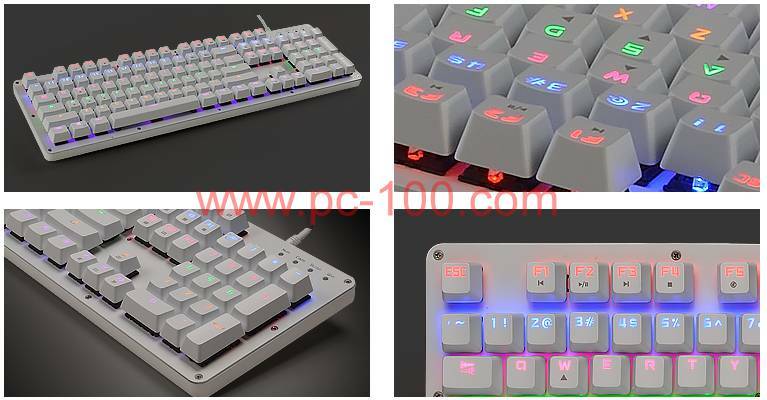 Mechanical keyboards are accurate, responsive and extremely durable. The distinctive click and solid feel of every stroke on a mechanical keyboard are elements that are glaringly absent in newer membrane keyboards. Membrane keyboards overthrew their mechanical counterparts in mass production because they are considerably cheaper to manufacture. While this shift is certainly understandable (business is business, after all) membrane keyboards rarely live up to the standards mechanical keyboards set.